Here’s a few valuableВ waysВ to engage your fans on Twitter. 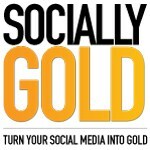 A well-organized social media strategy does not come easily to all brands, but some just get it. In this post, I’ll share three interactions I’ve had on Twitter and what you can learn from them. My number one rule for being social media successful is the ability to engage your fans. Asking trivia questions is a great way to engage your fans, which is a trend I have been seeing a lot of lately. Let’s start with Publix, my local grocery store, who asked a trivia question about their owner. I’ll give kudos to Publix for their ability to engage me, but I was disappointed with their response when I asked if I won anything. I do want to point out that their commitment to customer service is fantastic. I’ve had a few problems with their online deli ordering lately, but their social media team was quick to respond and they even sent me a $10 gift card for my trouble. I had another online ordering problem a few weeks later, tweeted them about it and they had the manager call me. No gift card the second time, but I appreciate their attentiveness to customer service. Needless to say, I googled the answer to the trivia question and they did have a cutesy response letting me know I was right (thanks Wikipedia), but I would have enjoyed winning something for my efforts. If anyone from Publix reads this, can I suggest you offer social media dollars for trivia questions like this? Your fan base would grow exponentially if fans knew they could earn discounted groceries and incentives. I’d be happy as a customer and as a social media enthusiast. This is theВ best way to engage your fans on Twitter I’ve seen. Citrix, the makers of GoToMeeting, the software I use for my social media trainings and coincidentally headquartered in the next town over, deserves a medal for how they engage their fans on Twitter. Citrix also tweeted a trivia question, on Throw Back Thursday (brownie points for that), of an advertisement from many years ago which included fax instructions. I didn’t google it this time, but my first few guesses were wrong. I took a closer look at the image and saw a 95 in the corner, so I tweeted another guess. The next day,В Citrix tweeted that another user and I got it right. Sweet! The other user beat me to it and asked CitrixВ (“and we win a….? )” I jokingly asked for a free year of theВ webinar software I mentioned. The other user already had that, but Citrix did have something better in mind. Also, kudos to GoToMeeting for jumping in on the conversation too. It could be the same person managing both accounts, but still, it’s a great way to engage fans on Twitter. I thought it was a joke and that I was just going to get a picture of a cupcake, but au contraire! 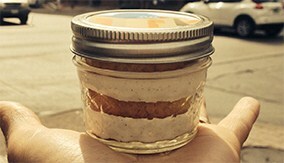 I am physically getting a cupcake in a jar, mailed to me, courtesy of Citrix and GoToMeeting. I really thought it was a joke, especially because of my recent Twitter trivia experience with Publix. I clicked the link in the tweet, and was asked for my address, and boom, my cupcake in a jar is on the way to me at work. I wonder if it’s from Wicked Good Cupcake? TwitGift is a service that allows companies to send gifts to their fans on Twitter. They seem to be in a beta program right now, but this is anВ unusual, fantastic, amazing and wonderfulВ way to engage an audience on Twitter. I did some research and Citrix uses this often, especially if a customer has a complaint. What amazes me is that Citrix, a tech company, sends me a cupcake in a jar for getting a trivia question right, but Publix, a grocery store, didn’t send me anything. Thanks for spoiling me Citrix, now I’m going to expect a cupcake in a jar from every trivia question I get right. Kudos to you for knowing how to engage your fans on Twitter. I’m going take a photo of my own cupcake when it arrives, post a thanks and a link to thisВ post. The $12, which is peanuts toВ a tech company, will pay dividends on the word of mouth front. This post is exhibit A of the payoff their TwitGift purchase has given them. At every Miami Marlins home game, they run a promotion called #TweetYourSeats. They ask fans to tweet their seat location at a given time during the game. Their social media team picks a few winners and offers them “social media dollars”. The dollars can be used to purchase concessions throughout the stadium. I’ve won a few times now and it’s always fun knowing the beer I’m drinking was sourced via aВ tweet. Thanks social media! These examples are fantastic waysВ to engage your audience on Twitter.